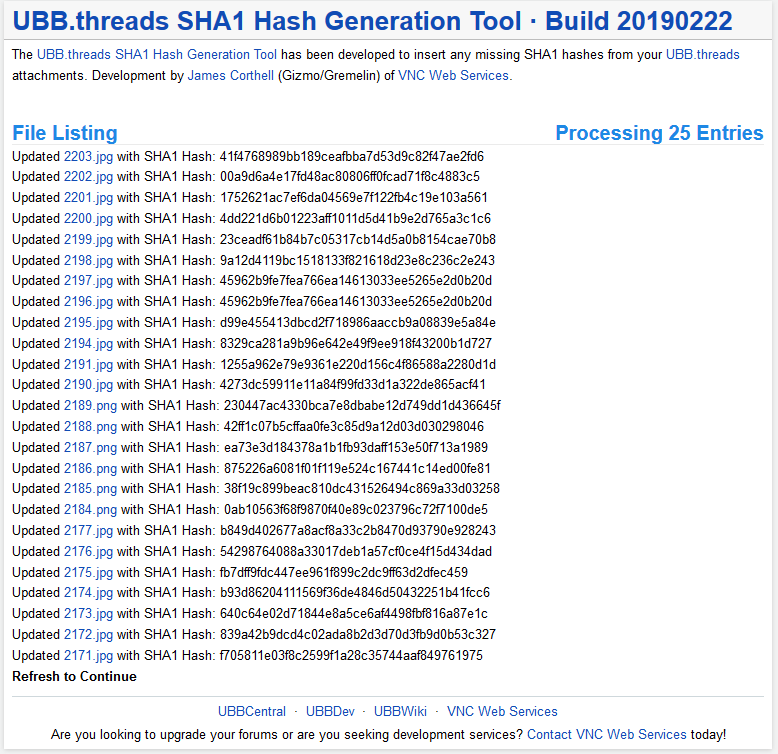 The UBB.threads SHA1 Hash Generation Tool has been developed to insert any missing SHA1 hashes from your UBB.threads attachments. Development by James Corthell (Gizmo/Gremelin) of VNC Web Services. The SHA1 table cell was added in UBB.threads 7.7.2 as a method of validating that files have not been modified in transit from the server by creating a hash of the file as its uploaded to the server. This tool will create that hash for all existing files as they exist on the server.